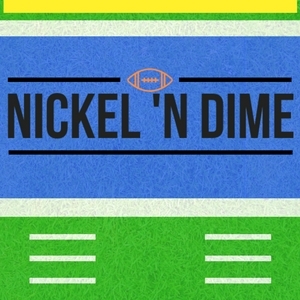 The Nickel 'n Dime Podcast is a sports podcast that takes a local, regional, and national view of what's going on in the sports world. 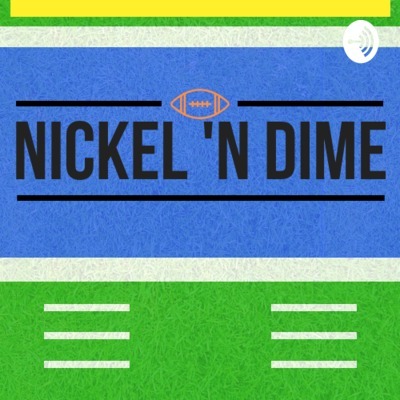 In the season finale of the Nickel 'n Dime Podcast, we take a look back at the evolution that Nickel 'n Dime has undergone since its humble beginnings back in September. Stick around for the back half of the show to be listen through the archives. Harry and Tyler open the show by talking about what Tyson Helton needs to do to put the Tops back on top. Tyler and Casey then break down the College Football Playoffs before once again going on rants about why UCF should be in. Coach O then comes in and breaks down why his Tigers will ruin UCF's undefeated streak, and then goers on to blame the media for LSU's struggles. In the last Harry's Heisman Hopefuls of the season, Harrison casts his ballot for Tua but says that Kyler Murray should be right there with him. After a break over the Thanksgiving holiday, voice of the Lady Toppers Brett Williams joins the show as Tyler, Harry, and Casey are back. Coach Mike Sanford Jr. is out and Tyson Helton is in as head coach of the Hilltoppers football team. Tyler and Harry discuss that and WKU's back-to-back wins to close the season before moving on to the rest of the college football landscape. Casey and Tyler discuss the conclusion of one of the best regular seasons in Kentucky history before discussing the most over and underrated teams in the CFP rankings. Coach O returns from the bayou after a heartbreaking 7 overtime loss to Texas A&M but seems much more upbeat after this loss. In the last half of the hour, WKU women's basketball play-by-play announcer Brett Williams joins the show to discuss his hometown Redskins and who he wants to see matched up in the Super Bowl. Tyler and Harry open this week's show trying to find some positive way to spin WKU football's season so far before giving up and moving onto Charles Bassey, because who wouldn't? Tyler and Casey then discuss UK's disappointing loss to Tennessee, before Coach O returns to declare his Tigers back in the Playoff hunt. With Tua's injury, Harry gives the rundown on a suddenly tightening Heisman race, before Natalie tries continue her bounce back in Natural Selection. Junnie Riddle joins the show to discuss all things NFL, including Leveon Bell's decision not to return to the Steelers this year. Tyler and Harry close out the show with What Not to Watch For, with Harry declaring Kentucky dead in the water. New intro, who dis? Episode 10 rings in a new intro and a new guest on the show, as Kaden Gaylord joins the guys to argue that the Cats are still for real. Coach O has some explaining to do after LSU's loss to Bama, and after another WKU loss, Harry and Tyler try to figure out if the Tops can win again. Casey and Tyler discuss the new CFP rankings, as well as looking at the Titans' chances in a wide open AFC South. For a special Halloween edition of the Nickel 'n Dime Podcast, Mark Webster joins the show to discuss the struggles of WKU football and the expectations surrounding the Hilltoppers on the hardwood. Tyler announces Coach O's official contract with Nickel 'n Dime, and Casey joins them to discuss the first College Football Playoff rankings. Natalie looks to ride the wave of momentum surrounding Kansas' victory, and Harry breaks down after a heartbreaking loss in fantasy football. Tyler and Harrison open this week's show trying to figure out why it is that this WKU team just can't close out games. Casey joins the show to discuss UK and the rest of the college football scene, with Coach O joining the fray to declare Nick Brosette the Heisman Trophy winner and LSU the national champions. Harry jumps on the Tua train, and Natalie returns from her bye week for Natural Selection. Casey returns to talk NFL, going over his predictions for the rest of the NFL season. Tyler closes with what not to watch for, warning WKU fans that this slide is nowhere near over. Tyler, Harry, and the guys discuss WKU's continued slide and UK's return from their bye week. LSU coach Ed Orgeron makes his debut on the show, arguing that Nick Brossette is the greatest college football player ever. John Reynolds talks all things NFL, and Tyler rounds out the show with his weekly fantasy advice. 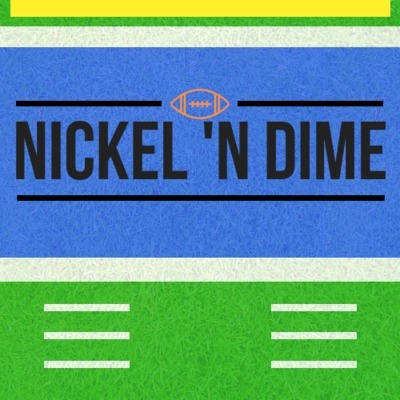 In the sixth episode of the Nickel 'n Dime podcast, Tyler and Harry welcome Casey and John back once again to discuss everything going on in college football and the NFL. Natalie tries to get back on track in Natural Selection, and the guys try to figure out what went wrong for the Titans in Buffalo.